Divorcing spouses often believe that their children deserve to know “the truth”. Many of my clients over the years have asserted this proposition. This widely held belief can in fact be helpful to children in some cases. As a general rule however, within the context of a divorce, truth is relative, often complicated, can be terribly damaging and arguably abusive if delivered with anger, malice or even tears. What children need to know varies from case to case and age group to age group. What they do not need to know in almost any circumstance are the nasty details of alleged or real infidelity, other inappropriate behavior, financial concerns, irrelevant information about family members or anything else that undercuts their sense of security and stability. Children need to know that they are loved and will be taken care of. Older children need to know where they will live and how much time they will be spending with each parent. Virtually every child has friends who come from divorced families. Children are often better versed than their parents about schedules, how to reach friends with two homes etc. While the mere mention of the word divorce is upsetting to most children, it is how the message is delivered and how the adults in their lives conduct themselves that will determine just how frightening and unsettling the process will be in the long run. Too often parents and extended families are so wrapped up in their anger at the other spouse that they unintentionally cause serious distress to the children and involve them in subtle and not so subtle ways that are harmful. If a parent has been unfaithful, the children do not need to be told. If a parent has spent too much money or gambled it away, the children do not need to be told. If a grandparent, aunt or uncle has a brush with the law the children do not need to be told. The only reason a child might need to know the details of any family problems is if there is a safety issue. It is almost impossible to conceive of a benefit to telling a child that while daddy or mommy was away on a business trip he or she engaged in an extra marital affair. Whether a marriage deteriorates over time or in one loud explosion, the children should not be either parents’ confidant, shoulder to cry on, sounding board or co-conspirator. The demise of a marriage can be caused by both parties equally, unequally or by one party almost entirely. The emotions are intense and it is hard to imagine that as adults we have to have the strength to handle our own issues and also reserve patience, strength and optimism for the children. It is unfair. It is overwhelming. How can anyone who has been so wronged be expected to hold it in, put on a brave face and continue to be supportive of a relationship with the other person for whom one no longer has any respect? For the kids, that’s how. Join a gym, get a counselor, join a support group, religious group or whatever it takes to control the overwhelming feelings of anger, betrayal, disappointment or hate and to the best of your ability, keep the children out of it. It might be satisfying in the short term to have the children on your side but in the long term this may not be what is good for them. What is good for them is the opportunity to grow up with parents who can at least get along. What is good for them is to allow them to make their own assessments of the strengths and weaknesses of their parents and to develop those relationships as best suits them. Ultimately, what is good for them is good for you even if, in the heat of a divorce, this is impossible to imagine. In the context of divorce, truth can be more malleable than participants expect. The old saying that there are two sides to every story is taken to the extreme by the rollercoaster of emotions, general anxiety and confusion that can occur at any and all times during the divorce process. There are often four or five versions of a story. Probably the best examples of this are: the reasons for the breakup, who has done more with the children, and which party was irresponsible with money. As attorneys, when we communicate with opposing counsel we often have to double check to be sure we are talking about the same case because the perspectives and beliefs of our client are so stunningly different. No one is necessarily lying but perceptions of the truth may bear no resemblance. To make matters worse, the promise to tell the truth, the whole truth and nothing but the truth only means that the witness will give his or her version. Litigants should not assume that their version of the truth will come out in court from the opposing party and that what they hear as sworn testimony may not even approximate their own experience. The witness may be telling a different story and may even be lying, but in most cases it is a combination of perception, rationalization and human nature that generates a genuine explanation that may be far from reality. Most people believe what they say and it is a rare couple that remembers their marriage in exactly the same way. Unless there is a reason why “the truth” is critical (such as financial information or criminal history) there are many “truths” that parties may need to let go. The lesson regarding truth is that parties are unlikely to ever convince the other of their truth and the attempts are frustrating, emotionally draining, and divert energy from the most important task of moving toward resolutions. As hard as it is to swallow and as wrong as one may believe the other to be, it is better to agree to disagree and focus on reaching resolutions that are in the best interest of your children and are financially healthy for all concerned. If you leave the marital residence you have “abandoned” it and you lose your right to equity. The end of a marriage is an emotional time. People often wish to separate to ease tensions and to allow both spouses to adapt to the idea that their lives are changing. I am regularly asked at initial consultation about the concept of abandonment because people are told that if they leave the residence they have given up their rights. According to Black’s Law Dictionary, abandonment is a legal term meaning “[t]he surrender, relinquishment, disclaimer, or cession of property or rights.” If one spouse leaves the marital residence and establishes a new residence elsewhere, he or she has not abandoned the residence relating to a claim for a share of the equity or items of property inside. He or she has merely made an understandable accommodation to benefit both parties. Having said that, the person who leaves the residence has a decidedly weaker claim to actually get the residence in a divorce so, if the understanding is that one person will leave for a short time and then resume residency, either exclusively or with the other spouse, the Agreement should be in writing and clearly articulated. While a person may not have legally abandoned the property, possession is still nine tenths of the law and the ramifications of leaving may be long term and unanticipated. If ultimate possession of the property is the goal, then leaving may not be abandoning, but it may still be ill-advised. Urban Legend: Spousal Support (Alimony) automatically terminates upon the remarriage of the receiving spouse. This legend is based on accurate historical information that is no longer true. 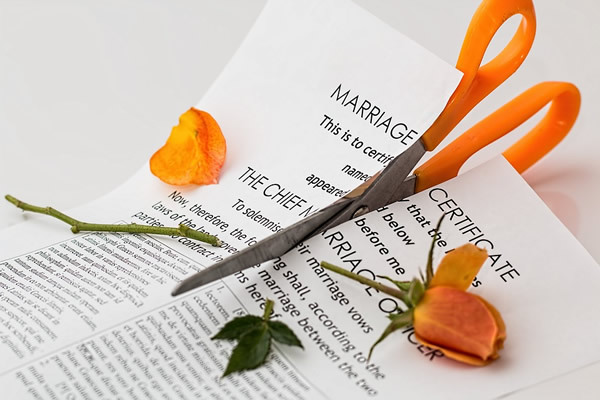 Spousal Maintenance, formerly called Alimony, used to terminate upon the remarriage and sometimes even upon the cohabitation of the receiving spouse. Case law in Vermont changed that. While it is possible, although unusual, to put a termination clause in a Marital Settlement Agreement, the courts now consider modifications or terminations of spousal support based on whether or not the financial circumstances of the receiving party have significantly improved due to the remarriage. Remarriage to a multi-millionaire might be a sufficient basis on which to reduce or terminate support. Remarriage to a person with no means or average means may not change the receiving party’s financial circumstance in any meaningful way and therefore will not form the basis for a modification.